Vincent Laval has began to release "Garennes" since 2015 vintage. This parcel is situated in Chambrecy in the Vallée de l'Ardre and mostly Pinot-Meunier are planted. Garennes is 100% Pinot-Meunier Champagne, composed by grapes from Chambrecy and the rest is reserve wines from Cumières 2013, 2014 and 2015. Usually Vincent's wines are made as "brut nature", but he made it with 1g/L dosage for this cuvée. 100% Chardonnay from Le Corroy- Côtes des Bars. Fermentation by wild yeast, aged on the lees. No filtration before bottling. Degorgment : July 2017. It is brut nature, zero dosage. No sulfur added. Tiny productions. 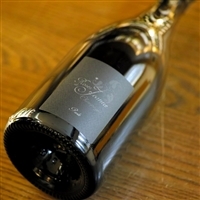 Contrées Champagne is a project by grower champagne producers - Oliver Horiot, Elise Dechannes and Arnaud Lamoureaux. These four bottles are made from 100% Pinot-Noir from same area - Les Ricey, but all are from different lieux-dits which have different characters. 100% Pinot Noir on Kimméridgien soil. Around 3,000 bottles from 0.9ha lieu-dit of Les Ursules, 40 years old vines. No dosage, unfined and unfiltered. 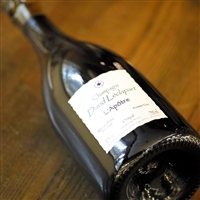 Dégorgement : April 2018 V11 is made from 2011 vintage. Pinot-Noir 100% on Kimméridgien soil. Around 2,000 bottles from 0.74ha lieu-dit of Côte de Bachelin. No dosage, unfined and unfiltered. Aged for seven years. Dégorgement : April 2018 Cuvée Les Hauts Chardonnays is made from 100% Chardonnay planted in 1962 only 0.34ha parcel in Mont Benoit. Aged in barrel for 12months + 84 months in bottle. Bottled without filtration and no fining. Production of vintage 2010 is 1,230 bottles. Cuvée Les Hauts Meunier is made from 100% Pinot Meunier planted in 1962 only 0.4ha parcel on Le Mont Benoit. Aged in barrel for 11months + 60 months in bottle. Bottled without filtration. Production of vintage 2011 is 1,300 bottles. The main cuvee is Le Mont Benoit, and it is usually composed by major three grape varietals from two different vintages. This lot "L14/13" is made from 2014 vintage and 2013, Pinot-Noir 33% / Pinot-Meunier 37% / Chardonnay 30%. Aged in barrel for 11months + 30 months in bottle. 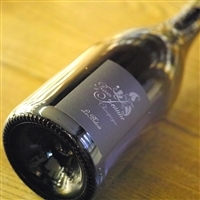 This cuvée "Cumières Premier Cru Brut Nature - L0212 - Millésime 2012" has been released as "vintage Champagne"(L0112 had also been released as NV cuvée. SO there are two Cumières Premier Cru from 2012). Chardonnay, Pinot-Noir and Pinot-Meunier. Non-filtered, non-fining and non-dosage. Dégorgement : 9th September 2016. Chardonnay-biodynamique 100% from 0.32ha special parcel planted in 1946, fermented in used barrels purchased from Domaine Leflaive. Non-dosage, released after 48-50 months ageing in bottle. Production : 3,000 bottles/year. A wine of energy and vibrancy, the 2014 is going to need at least a few years to be at its very best. Even so, its potential today is evident. The Meunier character is pronounced, but it is the wine's salivating minerality that gives shape, focus and cut. What a gorgeous wine this. AG93+ This cuvée "Cumières Premier Cru Brut Nature Rosé - L0304" is composed by 50% Pinot-Noir and 50% Pinot-Meunier from 2014 vintages. Non-filtered, non-fining and non-dosage. Dégorgement : 1st February 2017. Only 2,495 bottles made. Special Assortment of back vintages including "Les Enfers". Only 500 sets released. - Les Roises BB 2011 x 1 Les Maillons Rosé de Saignée is Rosé Champagne made from 100% Pinot-Noir. Les Roises is Blanc de Blancs, 100% Chardonnay. Les Maillons is Blanc de Noirs, 100% Pinot Noir. This is a Blanc de Blancs, made from 100% Pinot Blanc 60 years old vieilles vignes from the lieux-dits "Le Champ du Clos" of Celles Sur Ource village in Cote des Bar. This lot is made from 2014 vintage grapes. No sulfur added. Tiny productions. 45% Pinot Blanc, 35% Pinot Noir and 20% Chardonnay. from Celles s/Ource, Vallée de l’Ource, vintage 2009. Aged on the lees for 18 months. Bottled on 13th Oct 2011 and dégorgement on 19th May 2016. 3,807 bottles made.